Femme Fatale Gentlemens Scuffle | Light Your Nails! 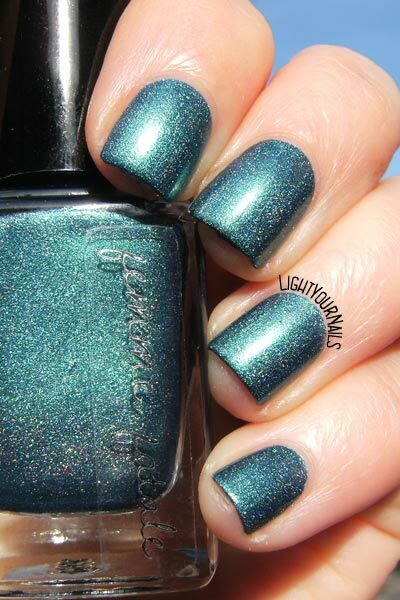 Today I am showing you swatches of an Australian indie nail polish. 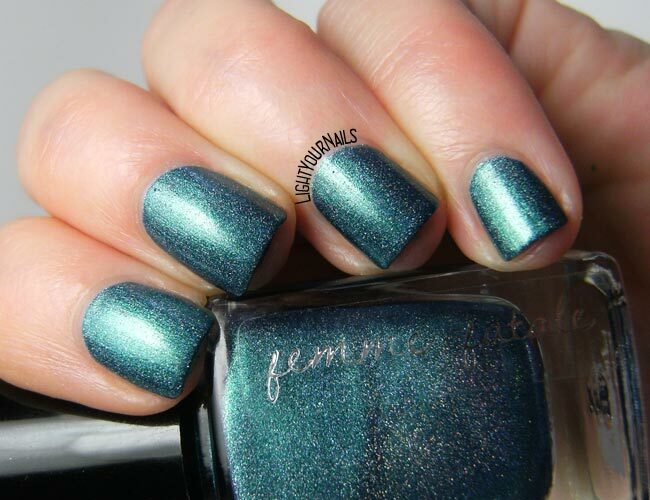 Femme Fatale Gentlemen's Scuffle is a teal blue holo with a metallic effect. Application is flawless and you get the perfect coverage in two easy coats. Drying time is super quick. Photos: two coats, no top coat, direct sunlight. This shade is so deep and the metallic effect makes it quite unique. Unfortunately I am no fan of metallics so I just couldn’t fall in love with it, but I still think it’s a flawless nail polish. Do you own any Femme Fatale’s? And how do you like this one? Non conosco il brand, ma questo colore è notevole! non conosco il brand (...e quando mai :P conoscerò sì e no 4/5 indie brand ahah) ma lo trovo molto carino! Davvero? Io adoro il colore, ma 'sta cosa del metallizzato mi tarpa le ali. I really want to get my hands on some Femme Fatales. They all look stunning!